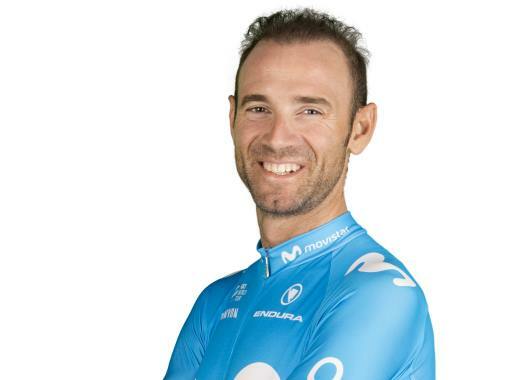 Movistar's Alejandro Valverde has brushed off any suggestions of fights for the leadership of the team by claiming that all the team just wants the final victory of the Vuelta a España. Valverde knows the time trial of the 16th stage can make a difference in the GC. "It’s really tight between the main contenders," he commented. "I feel like tomorrow’s time trial could be one that makes bigger gaps than all those that we had in the last couple of mountain stages. "We’ll have a clearer GC situation from tomorrow on – not a strictly defined scenario since there will still be three tough mountain stages remaining after Tuesday, but we should find the biggest gaps between the race contenders so far in this race tomorrow." The rider doesn't worry about rumours of the team's leadership, stating that it has a clear goal. "What we want is winning the Vuelta a España for Movistar," the Spaniard explained. "There has been a lot of fuss around in the press about who the team leader is, or whether there’s a fight between the two of us. "The real thing is that it’s been a phenomenal Vuelta for us up to this point and that we really get on well with each other and the rest of the group. We’ve got clear in mind that there’s a strong contender ahead of us, which is Yates, who will be hard to beat, and also that wanting to win the Vuelta and achieving it are two very different things. However, we Nairo and I still both stand a strong chance to win this race."